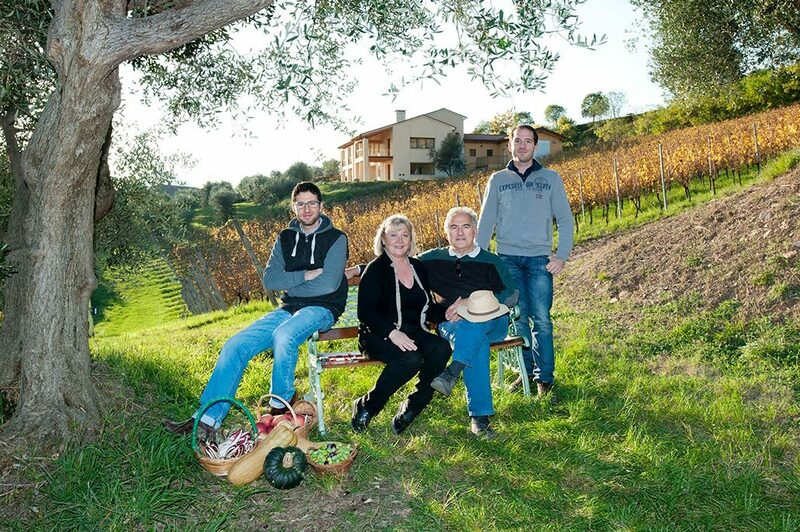 The Borins have, since 1963, devoted themselves with great passion to cultivating an area of around 30 hectares (75 acres) of family-owned vineyards: these are located on high hillsides in Arquà Petrarca and in the zone lying at the foot of the hills of Monticelli. The vineyards are tended with great care by the members of the family themselves, with the aim of ensuring the very best possible results, from the planting of the vine cuttings onwards. Gianni and Francesco supervise, along with the estate’s employees, the husbandry of the vines up until harvest time, when the grapes from each individual vineyard are vinified separately. Meanwhile, Teresa and Gianpaolo take great care to inform our guests about the area of the Euganean Hills and to describe the emotions involved in their work, from the grapes on the vine to the wine in the glass.